Tuesday 16th September 2014 – 7.15pm – Claire Brown. A motorcyclist who ended up trapped beneath the tow-bar of a 4×4 pulling a trailer has sustained injuries described as ‘life changing’ in Coventry this afternoon. West Midlands Ambulance Service was called to Leamington Road in Ryton-on-Dunsmore, Coventry at around 3.30pm (Tuesday). 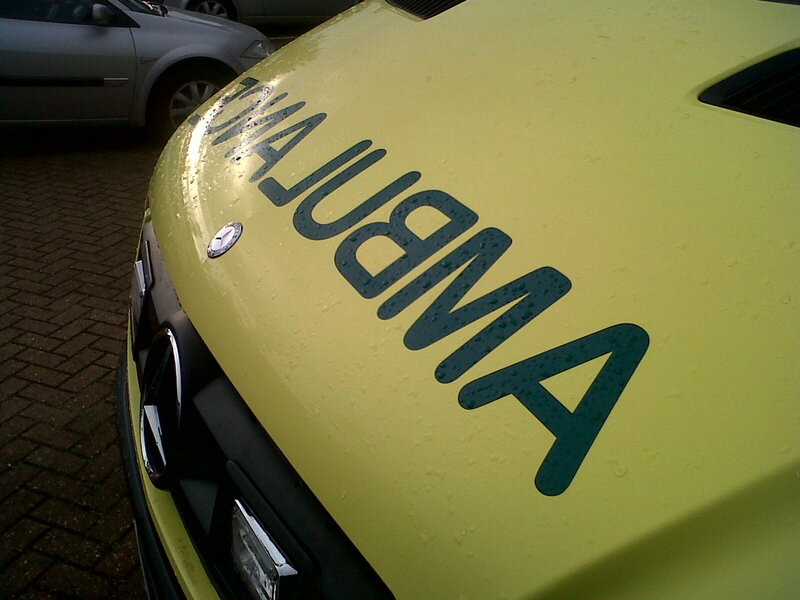 An ambulance, a paramedic area support officer and medics from the Warwickshire and Northamptonshire air base attended the incident in a land vehicle due to the helicopter being off line. A West Midlands Ambulance Service spokeswoman said: “Ambulance staff arrived to find a motorcyclist, a man believed to be in his 30s, who was trapped underneath the tow-bar connecting the 4×4 with the trailer. Once released from under the vehicle by ambulance staff, the man was assessed and found to have sustained significant lower limb injuries including fractures and a suspected fractured pelvis. “Ambulance staff and the medics worked as a team to administer pain relief to help stabilise the man before he was immobilised with a neck collar, scoop stretcher and splints. “The man was taken by land ambulance on alert to University Hospital Coventry and Warwickshire, a major trauma centre, for further emergency treatment on his life-changing injuries.